We are not even two months into 2016, and David Bowie is gone. So are Paul Kantner and Signe Anderson. So are Maurice White, Vanity and Otis Clay, Glenn Frey, Gary Loizzo and Dan Hicks. Time, then — well past time, really — to appreciate four music greats who are still with us. These are my four. Yours may be different. Still performing? It’s been almost a year and a half since he last played at the Blueberry Hill nightclub in suburban St. Louis. “Chuck Berry does not have any upcoming events,” his Facebook page says. What we must acknowledge but won’t dwell on: Chuck Berry is not necessarily a nice man, from his troubles with the law and the tax man to his reluctance to give longtime co-writer and side man Johnnie Johnson his due. Where I came in: I’m part of the generation introduced to Chuck Berry by the naughty novelty single “My Ding-A-Ling” in 1972. Then I bought “Chuck Berry’s Golden Decade,” the two-record greatest-hits compilation reissued by Chess in the wake of the success of “My Ding-A-Ling.” Long one of the greatest records in my collection. My evening with Chuck Berry: Seven years ago, I saw Chuck Berry — then 82 — play our local casino ballroom. After that show, you wondered whether he’d played for roughly an hour, or played roughly for an hour. Which was OK. With Chuck Berry, you never can tell. “Roll Over Beethoven,” 1956. Electric Light Orchestra’s long, raucous cover of this is one of my all-time favorites. “Too Much Monkey Business” 1956. The roots of hip hop? Dig that patter. Ahhhhhh. “Brown-Eyed Handsome Man,” 1956. The flip side to “Too Much Monkey Business.” Dig that Johnnie Johnson piano. “Johnny B. Goode,” 1958. Rock Guitar 101. All by Chuck Berry, all from “Chuck Berry’s Golden Decade,” 1967. My vinyl copy is a 1972 reissue. It’s out of print. All of these cuts available digitally. He did not. He recorded it first, in 1958, but it was written by Johnny Marks and Marvin Brodie. Marvin Brodie is a bit of a mystery, but not Johnny Marks. 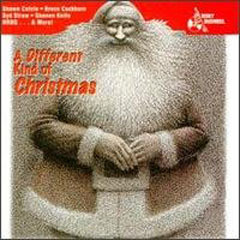 He was one of the greatest writers of contemporary Christmas songs. His first Christmas hit was “Rudolph, The Red-Nosed Reindeer” in 1949. When they created the much-loved “Rudolph” stop-action TV special in 1964, Marks wrote all the songs, including “A Holly Jolly Christmas.” He also wrote “I Heard The Bells On Christmas Day” and “Rockin’ Around The Christmas Tree,” both also released in 1958. Then again, there’s speculation that Berry did indeed write it, but that Marks’ name is on it because he owned the rights to Rudolph. Perhaps Berry is Marvin Brodie. In any case, a little mystery unsolved to this day. A Chuck Berry song came up on the iPod while I was working out this morning. It’s another reminder that Chuck Berry, for all of his considerable quirks, is an American treasure. “Run Rudolph Run,” Chuck Berry, from “Chuck Berry’s Golden Decade, Vol. 2,” 1973. That LP is out of print. The song originally was released on Chess single 1714 in 1958. It’s available on “Johnny B. Goode: His Complete ’50s Chess Recordings,” a 4-CD set released in 2008. It started innocently enough on Facebook earlier today. My friend Gary shared a link to the Tap ‘N’ Run 4K, a series of short races in the Midwest in which the runners dress in costume and stop for beer along the way. “It’s like they developed this event just for me!” Gary said. The Beer Belly has been a Green Bay tradition for the last 23 years, offering beer, root beer or water at rest stops along the two-mile course. “Beer Belly doesn’t let you drink during the race anymore,” Gary’s friend wrote. Sad but true. Even though there had never been a problem in any of the previous 23 years, the authorities nixed the beer on the Beer Belly course for this morning’s race. Oooh, it violates the open container ordinance, they fretted. Oooh, there might be underage drinking, they fretted. Which comes as no surprise from a community that also has banned skateboarding downtown. We now call Mr. Dave Edmunds to the stand. 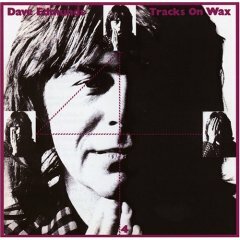 “It’s My Own Business,” Dave Edmunds, from “Tracks On Wax 4,” 1978. It’s out of print but is available digitally. 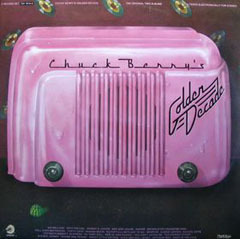 It’s a cover of a little-known Chuck Berry song off his “Fresh Berrys” LP from 1966. It covers some of the same ground as “Too Much Monkey Business,” another of my fave Chuck Berry tunes from 1956. It was a little surprising to read the comments on last week’s post and to learn that you dig the records we listened to in Jerry’s basement in the mid-’70s. Your affirmation is much appreciated. We certainly weren’t trend-setters among our peers, and we certainly weren’t all that sophisticated. Jerry reminded me that we also listened to “The Best of the Guess Who, Vol. 2,” which came out in 1973. That we listened to good records in Jerry’s basement simply reflects what we heard on the radio at the time. We grew up in the glory days of free-form FM, deep album cuts and adventurous DJs. Even though we lived in a small town in central Wisconsin, we were exposed to many sounds beyond the Top 40 after the sun went down. All that, plus the drinking age was 18, so you heard plenty of new stuff at parties. I can’t think of any other way we would have heard Montrose or New Riders of the Purple Sage. Having records by Sweet and Led Zeppelin simply meant you liked the singles and perhaps had heard some album cuts. Having records by the Guess Who and Steppenwolf simply meant you liked the singles. In the early ’70s, we had only one real record store in our town. The guy who ran Bob’s Musical Isle was said to have been a bit of a perv. Regardless, BMI was one of those ’50s-style record shops that hadn’t aged well in the ’70s. So I bought records at Prange’s department store until a laid-back hippie opened another record store, the Inner Sleeve, in 1975. I would like to say I bought a lot of cool records at Prange’s and then the Sleeve in the mid-’70s. One look at the iTunes suggests otherwise. Yet in the early ’70s, Aerosmith covered “Train Kept A Rollin'” and “Big Ten Inch Record,” a couple of old ’50s R&B tunes by Tiny Bradshaw. Curious about that kind of music from that time, but wanting to go a different direction from all the “American Graffiti” stuff so popular at the time, I picked up “Chuck Berry’s Golden Decade” and started digging it. Still do. “Too Much Monkey Business” and “Nadine,” Chuck Berry, 1956 and 1964, respectively. from “Chuck Berry’s Golden Decade,” 1967. My vinyl copy is this 1972 reissue. It’s out of print. Both cuts are available on “The Chess Box: Chuck Berry,” a 3-CD comp released in 1990. Can’t say whether we ever played this in Jerry’s basement, though. Not sure whether the fellas shared my enthusiasm for Chuck Berry. Christmas lurks out there, scarcely 10 days away now. Everyone’s busy, no time to read, no time to write. This is going to be it for Three Under the Tree. I get the feeling this series has run its course, anyway. I have something in mind for next year, something a little different. “All I Want for Christmas,” Timbuk 3, 1987, from “A Different Kind of Christmas,” 1994. It’s out of print. Gotta support your local musicians. Pat MacDonald, born right here in Green Bay and kicked out of West High School in the late ’60s over his long hair (and that’s only part of a great story), was half of Timbuk 3 with his ex-wife Barbara K. He’s living in our corner of Wisconsin these days, doing a variety of gigs and billing himself as pat mAcdonald. 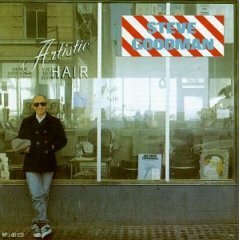 “Winter Wonderland,” Steve Goodman, from “Artistic Hair,” 1983. “Merry Christmas Baby,” Chuck Berry, 1958, from “Chuck Berry’s Golden Decade, Vol. 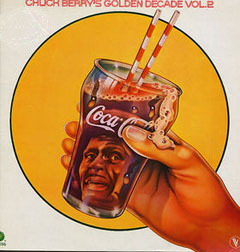 2,” 1973. The LP is out of print, but this tune — and a shorter alternate take — are available on “Johnny B. Goode: His Complete ’50s Chess Recordings,” a 2008 compilation, and digitally. On which Chuck demonstrates how well he does those quiet, slow blues. Listen for a snippet of “White Christmas” at about 1:40. Mostly, though, it’s just Chuck’s voice backed by Johnnie Johnson’s piano. The rest of the group is Willie Dixon on bass and Fred Below on drums. And to think I got to see Chuck Berry this year. Christmas came early. When it was announced a while back that Chuck Berry would be playing a gig at our local casino, I was skeptical. Now 82, he rarely plays outside of St. Louis, where he lives. I bought tickets, but I figured it was 50-50 that the show ever would take place. When I heard he was playing a benefit in New Orleans on the night before he was to play here, I became doubly skeptical. No way does he make all those trips. Our paper’s entertainment writer, who’d asked me to cover the show, said she was sure he’d make it. I wasn’t so sure. With Chuck Berry, you never can tell. “Speaking of which, was it that Berry’s guitar seemed to lurch in and out of tune as he jumped from song to song? “Was it that Berry was in fine voice and genially accepted requests all night long … then never performed a song in its entirety? “Was it that his backing band – two young guys on piano and drums and an older, more familiar cat on bass – gamely tried to keep up as Berry played a little of this, a little of that, perhaps only Berry knowing where he was headed, and in which key. I had only a fan’s access, so I don’t know whether Berry’s backing band was a group of locals who could play his songs, as contractually required. I suspect so. I recall Bruce Springsteen’s story of backing Berry, told in the 1987 film “Chuck Berry Hail! Hail! Rock ‘n’ Roll,” and it rang true. Knowing that only made this show all the more enjoyable. Berry played bits and pieces of almost everything you’d want to hear, closed “Memphis” with a sassy little strut and started his exit from the stage with — what else? — a short duck walk. And, yeah, he still can play the guitar like a ringing a bell. “Bye Bye Johnny,” Chuck Berry, 1960, from “Chuck Berry’s Golden Decade,” 1967. My vinyl copy is a 1972 reissue. It’s out of print. This tune, a follow-up to “Johnny B. Goode,” is available on “The Chess Box: Chuck Berry,” released in 1990. The 3-CD set is $30 and well worth it.